An Ottoman sultan’s dream finally realized, the project has sparked criticism in part because it was built just 11 miles from one of the most seismically active earthquake zones on earth – the North Anatolian fault. 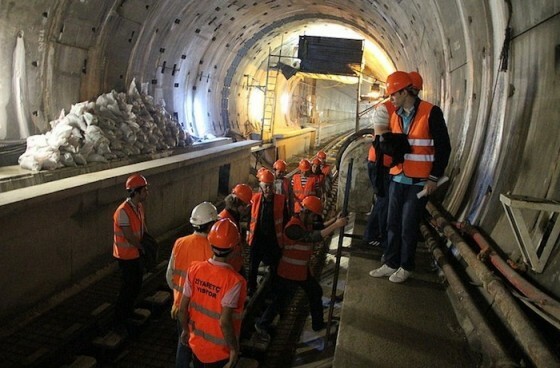 Prime Minister Recep Tayyip Erdoğan first conceived the Marmaray project, which includes an 8.5 mile Bosporus crossing, 39 miles of suburban train lines and a 47.4 mile high-capacity line between Gebze and Halkalı, during his tenure as Mayor of Istanbul. It is just one of several major infrastructure projects he has initiated to bring the city up to speed with the rest of the western world, but critics claim that these “Pharaonic” ambitions destroy valuable green space and ruin the city’s former character. Supporters and city officials say the $4 billion Marmaray project will reduce congestion and improve public transportation for at least some of Istanbul’s 16 million residents. Construction of the tubular tunnel beneath the Bosporus Strait broke ground in 2004 and should have been completed in 2009, but a series of archaeological discoveries delayed the first phase’s inauguration by just over four years. Erdoğan was impatient with these discoveries. “First (they said) there was archaeological stuff, then it was clay pots, then this, then that. Is any of this stuff more important than people?” Phys.org quoted him as saying in an earlier statement. While the railway tunnel can transport as many as 75,000 passengers every hour in either direction, easing terrible traffic on existing bridges, its proximity to the North Anatolian fault is worrisome. In 2007, Wired Magazine wrote about Eurasia’s equivalent of the San Andreas Fault. While Wired detailed a variety of measures that have been taken to ensure that the tunnel can withstand a massive earthquake, local city planners and architects are far from confident that they are sufficient or that the project was ready to be inaugurated. Next Next post: Israeli Electric Car Drivers Pay the Piper Today? I find the project innovative applause that it has been finished, however I am curious about the safety and security of this project now that it’s operational. 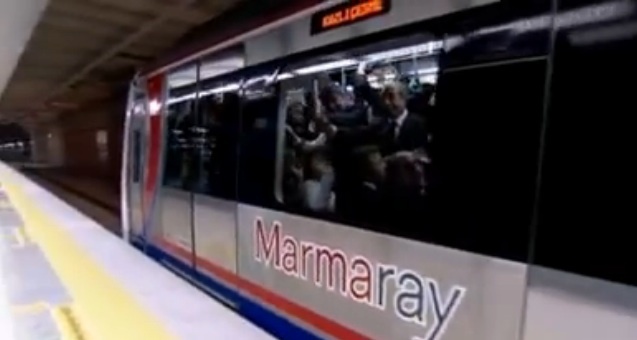 I would like to see and hear more about the security of using the marmaray. Perhaps it’s one find piece of public transportation to the graveyard. The picture you’ve presented displays the tunnel under Bosphorous for water supply to the Thracian (West) side of Istanbul, and has no relation at all with Marmaray but some 40 km North of it. This water tunnel is operated successfully by The State Directorate of Water Works since about 2 years now. Unfortunately, İstanbul is too crowded. People seem to think it’s streets are paved with gold – maybe they are but it’s impossible to see them due to the number of vehicles using them. Having lived for two years and (thankfully) worked on the same side of the Bosporus, I have personally experienced the traffic which clogs the bridges during the rush hour. This tunnel is a long-awaited artery which will hopefully ease the commute for many residents. All such projects will have critics, as I’m sure the first tube tunnels driven under the Thames in London did in those days.